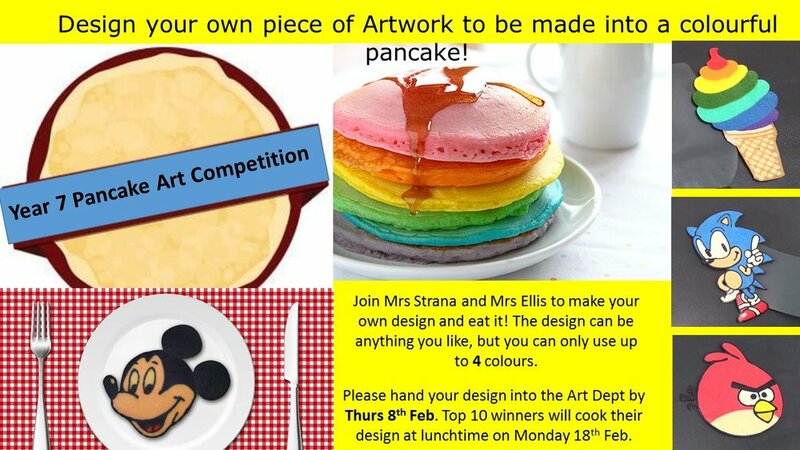 Students are being urged to turn their pancakes into artwork in the latest competition at Pool Academy. Sam Strana, DT Food teacher, dreamt up the idea after seeing people showing off creative ways to make food on Youtube. She has now joined forces with Art teacher Natalie Ellis to find the student who can come up with the most colourful and creative pancake art. The competition is open to everyone in Year 7. They are urged to design their own piece of artwork that can be transformed into a pancake. They also have to be edible too. Mrs Strana said this is the first time staff at Pool Academy have run the competition. She said: “My daughter was watching some pancake art on Youtube and I thought it looked cool so I approached Mrs Ellis to see if we could do something. Mrs Ellis said the design can be anything you like but it can only use four colours. She said: “I am really excited about the cooking competition and I hope every student in Year 7 gets involved and has a go at designing a pancake. All entries must be handed into the art department by Thursday February 8. The top 10 winners will be invited to cook their designs on Monday February 19 at lunch time.